“In war, human lives become units to be traded as a commodity to aid in the expansion of the State. When they are no longer deemed useful, these human lives are then tossed out like yesterday’s garbage. Confirming once again that war, to those who are sent to fight them, is absolute hell, newly released Pentagon statistics show that suicide — not combat — is the leading killer of US troops deployed to the Middle East. According to a report in USA Today this week, of the 31 troops who have died as of Dec. 27 in Operation Inherent Resolve, 11 have taken their own lives. Eight died in combat, seven in accidents and four succumbed to illness or injury. These new numbers confirm a trend that’s been in place since the beginning of the prolonged occupation of the Middle East. Earlier this year, the DoD released a similar report from 2014 that revealed some startling numbers. In all of 2014, a total of 55 US troops, in both hostile and non-hostile situations, lost their lives in foreign occupations. The number of soldiers who killed themselves was nearly 5 times that amount. According to the DoD report, in 2014, there were 269 deaths by suicide among active component service members (compared to 259 deaths by suicide in 2013). As bureaucratic fatcats sit back from their lush taxpayer-funded offices in giant marble buildings debating on whether or not to send more troops to the Middle East, this crisis is being ignored. Partly due to the fact that they can’t seem to figure out why troops are killing themselves, the military ‘experts’ are unable to reverse it. “The newer antidepressants frequently cause suicide, violence, and manic-like symptoms of activation or overstimulation, presenting serious hazards to active-duty soldiers who carry weapons under stressful conditions. 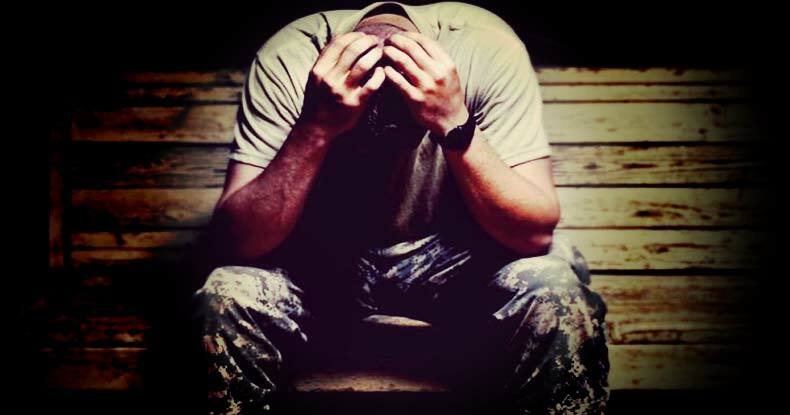 Antidepressants should not be prescribed to soldiers during or after deployment,” said Breggin. “In testimony before the U.S. House of Representatives Veterans Affairs Committee, I have pointed to a probable causal relationship between increasing rates of antidepressant prescription and increasing rates of suicide in the military,” he explained in his 2010 publication on SSRI Suicide in the Military (Antidepressant-induced suicide). Couple the dehumanizing nature of treating human beings as fodder for wars of aggression with the known side effects of antidepressants, and you have a recipe for disaster. In war, human lives become units to be traded as a commodity to aid in the expansion of the State. When they are no longer deemed useful, these human lives are then tossed out like yesterday’s garbage. ← “The Land of the Free”?